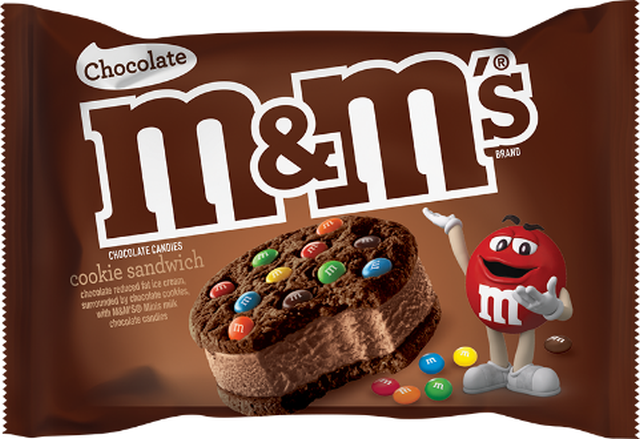 The M&M's ice cream line-up gets a new face with the arrival of new M&M's Chocolate Cookie Sandwiches. The new chocolate-heavy frozen dessert features two "home-style" chocolate cookies embedded with M&M's Minis sandwiching a layer of chocolate ice cream. You can find the new ice cream sandwiches at retailers nationwide with a suggested price of $4.99 per box of six sandwiches or $1.99 for one 4-oz sandwich.